In the dark action comedy “The Family”, a Mafia boss and his family are relocated to a sleepy town in France under the Witness Protection Program after snitching on the mob. 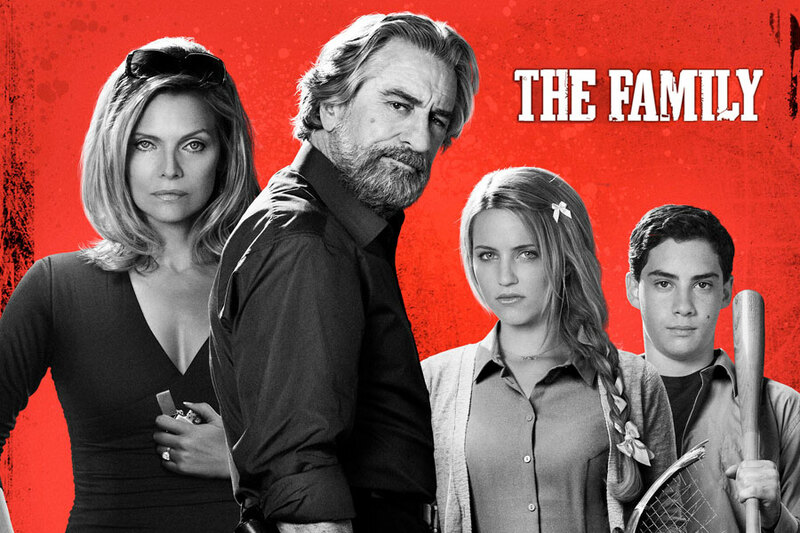 Despite Agent Stansfield’s (Tommy Lee Jones) best efforts to keep them in line, Fred Blake (Robert De Niro), his wife Maggie (Michelle Pfeiffer) and their children, Belle (Dianna Agron) and Warren (John D’Leo), can’t help resorting to old habits by handling their problems the “family” way. Chaos ensues as their former Mafia cronies try to track them down and scores are settled in the unlikeliest of settings, in this subversively funny film by Luc Besson. Print article This entry was posted by Art Eddy III on September 11, 2013 at 4:45 pm, and is filed under Entertainment. Follow any responses to this post through RSS 2.0. Both comments and pings are currently closed.